This classic anthology from the Pali Canon charts the entire course of spiritual development as prescribed in the most ancient Buddhist texts. Drawing upon the Buddha's own words from the Sutta Pi?aka, the compiler has arranged them in accordance with two overlapping schemes of practice: the threefold training in virtue, concentration, and wisdom, and the seven stages of purification. A long chapter on concentration provides sutta sources for all the forty classical subjects of meditation, while the chapter on wisdom cites texts relating to the development of insight. Ven. 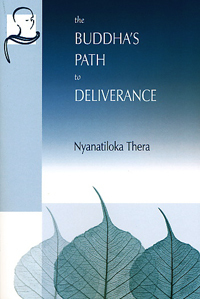 Nyanatiloka Thera (1878-1957) was a prolific and highly regarded translator of Pali Buddhist texts into German and English. He spent more than 50 years in the Buddhist order, most of this time in Sri Lanka.